Passiflora incarnata is a beautifull Perrenial with sweet scented flowers. 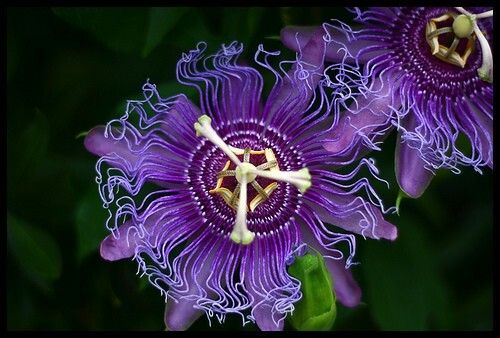 Passiflora incarnata has been used as a sedative to aid in the treatment of insomnia. In homeopathic medicine Passion Flower was used to treat epilepsy. Can be smoked or made as a tasty tea or strong decoction. The European literature involving passion flower recommends it primarily for anti-anxiety treatment. The medicinal properties of Passion Flowers have been known to Native Americans for centuries. The Cherokee used Passiflora incarnata in religious ceremonies. The dried herb has been valued as an antispasmodic, hypnotic, and sedative. The flowers are highly sought after and considered to be the most potent part of the plant.